Acxiom Digital, Inc. provides digital marketing and advertising services. It operates Impact-X platform that combines campaign management with analytics to assist account and client teams in designing, sending, and analyzing direct marketing communications. In addition, the company creates and executes campaigns in media channels such as personalized email, Websites, banner and web advertisements, search engines, display ads, mobile, television, social media, and direct mail for customers to design, send, optimize, and analyze communications. 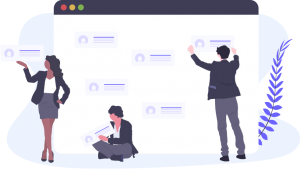 It offers Website personalization services to build a portrait for visitors, prospects, and customers; automatically test and optimize various campaigns using algorithms and serve the visitors. The company also provides email marketing services such as enterprise support, campaign management, marketing impact, email deliverability, and transactional email; and search engine marketing services including organic search engine optimization, paid inclusion, and pay-for-placement. In addition, it offers customer acquisition and media services including acquisition program design, channel selection, execution planning, vendor program enhancements, cost negotiations, program implementation and monitoring, performance optimization, and performance reporting; and agency services such as strategy, creative, web development, media, measurement and analytics, and data management and integration. The company serves retail, financial services, telecommunications, healthcare, travel and hospitality, and technology industries. The company was formerly known as Digital Impact, Inc. and changed its name to Acxiom Digital, Inc. in April 2006. The company was founded in 1997 and is based in San Mateo, California, with additional offices in the United States, Europe, and Asia. As of May 5, 2005, Acxiom Digital, Inc. operates as a subsidiary of Acxiom Corporation. digitGaps report on Acxiom Digital Inc delivers a detailed in-depth and comprehensive insights of the company, its history, corporate strategy, its businesses and structures, and company operations by examining its performance in local market and global economy. digitGaps is presenting this report to you to understand company’s key strengths, weaknesses, potential opportunities, and threats. This report will also present the historical, current and projected merger and acquisitions, financial analysis, deals and alliances, partnerships and investments of the company, news, competitors, and key executives profiles. SKU: DGCR10015142 Category: Company Reports. Tag: Acxiom Digital Inc. This report contains Acxiom Digital Inc company and market share data which will help you understand the detailed picture of company’s financial position. In-depth analysis performed to produce this report will give you a clear and unbiased view of the company’s strategy and growth prospects. Our company profiles assist you to formulate strategic analysis in order to understand your customers, partners, and competitors, enabling you amplify your business better. Acxiom Digital Inc research report contains the following information which will give you clear and full picture of the business landscape, potential customers, competitors and suppliers. Professionals, Investors, Researchers and Academician who are interested in gaining key information about Acxiom Digital Inc, this report is a crucial source to them.